Since 1928, members of the Westhampton Garden Club have dedicated themselves to promoting horticulture, floral design, and environmental conservation in the Westhampton Beach area. As affiliates of National Garden Clubs, Inc, Federated Garden Clubs of New York State and Garden Club of America, members share a love for gardening and floral design through study at workshops, seminars, plant exchanges and field trips. Our community projects include the maintenance of a number of public gardens, conservation initiatives, educational lectures, topiary arrangements and outdoor potted plants for East End Hospice patients, and an annual scholarship for a local high school senior interested in furthering his/her education in a related field. These activities and others are funded by the WGC House & Garden Tour. 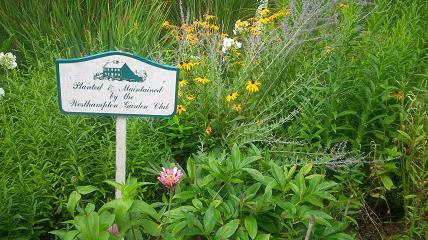 © Westhampton Garden Club. All rights reserved.